This is a bit of a downer, but I think it's important. Imagine you are a baseball player in the Steroid Era. Your predecessors of the early '80s thought that hitting 40 home runs was a real accomplishment – but now hitters are blowing past 40 in August and earlier. You can't keep up, and then you find out that the inflated numbers are achievable, if only you invest in certain drugs. What do you do? The same phenomenon exists today, in the world of Popularity, and it's radically changing our teens. Twenty years ago, popularity for a teen meant your high school peers knew you and liked you. Maybe, if you were a star athlete, you were known around town and in competing schools. If you were a star academic, you might have some notoriety in your field, if there was a large enough prize for your brand of achievement. The "approval ceiling" maxed out in the 100-500 range, as a rule. Today, thanks to the Internet and social networking, a high schooler with only 100-500 "friends" is an outcast. Your own friends, and then their friends, are a social circle of thousands. The big dream is to go viral with a meme, picture, tweet or video, and then you are in the millions. Through networking, the Approval Ceiling is sky-high. Never mind that this "approval" is shallow and fleeting, it's the standard by which you are evaluated. But what steroid do you take? How do you impress thousands of people, or millions? Not by working out so that you look physically impressive. Not by acing an exam, or buying a cool leather jacket. No one can see you! You need to be out there, visible, working the network, showing people your abs or your grade or your bling. You need to drop the notion of privacy, and embrace the stage. This is what our teens do; to my mind, this is why they text and sext, record silly videos and tweet details that in the past were considered private. Nothing is too private when it comes to impressing thousands of people. For this generation, suggesting that they keep their dating or mental health struggles or personal habits to themselves is the equivalent of suggesting to an earlier generation that they not enter a sports competition, run for school president, or go to the party everyone who is anyone is attending. Self-revelation is their steroid, to hit 70 home runs. How am I going to make friends if I keep to myself? And so the rising Approval Ceiling has dynamited privacy. Thomas Friedman wrote the other day about Popularism, and the phenomenon of politicians sacrificing leadership and depth in pursuit of popularity. I don't think this is new for politicians, except perhaps in intensity. The concept of sacrificing for popularity is not new for teens, either, but the levels of popularity they can achieve are unprecedented for teens, and they are proving all too willing to make whatever leap is necessary in order to get there. Privacy – or tzniut, as it is known in Judaism – has always been a bit of a ball and chain, to those who thought that being more revealing would win them friends. Today, though, the the temptation of sky-high popularity, and the absolute necessity of being "out there" in order to achieve it, is a game-changer, and privacy is left in the dust. 1. Radak seems to have been troubled by this question; he appended the word “entirely” to the sentence, in his commentary. In other words, King David meant that Gd doesn't entirely abandon a person - even if it seems that way. “There is, however, a magnificent interpretation attributed to the late Rabbi Joseph Soloveitchik of blessed memory. He argued that the verb in the verse, raiti, "seen", should be understood as having the same meaning as it has in Esther 8:6... She says: "How can I see [raiti] disaster fall on my people? How can I see [raiti] the destruction of my kindred?" Here the verb means not simply to see but rather: to watch, to be a passive witness, to be a bystander. “In this sense, said Rabbi Soloveitchik, the verse in Psalms should be read as: "When a righteous person was being forsaken or his children begging for bread, I never merely stood and watched." Understood thus, it has a similar meaning to the command (Vayyikra 19: 16), "Do not stand still when your neighbour’s life is in danger". As the Holocaust historian Yehudah Bauer put it: Thou shalt not be a bystander. 3. To the words of Radak and Rabbi Sacks, I would add one more note: The book of Tehillim is neither a work of history nor a collection of prophecies. Rather, Tehillim is an archive of prayers. Tehillim is King David’s monument to Faith, a record of his relationship with his Creator throughout the epic struggles of the most embattled figure in all of Jewish Scripture. From family strife to national upheaval to international conflict, from punishment and rejection and distance from Gd to cycles of sin and repentance and love and longing for the Divine, from public humiliation to the vision of a triumphant Temple built, King David expressed in words the extremes of human emotion he experienced through the numerous religious apices and nadirs of his seventy years of life. We invoke this prayer at the close of our Birkat haMazon, as part of our own assertion of faith. “The man who trusts in Gd is blessed, for I believe Gd will not abandon a righteous person, or his descendants. Gd will give strength to His nation, and He will send them shalom.” This is King David’s prayer, and ours as well. The fourth blessing of Birkat haMazon identifies many Divine roles - King, Creator, Redeemer, and others. Along the way, we associate God with one of our patriarchs, Yaakov. We identify God as “the Holy One of Jacob” and “the Shepherd of Israel”. Why do we link God to Yaakov, in particular? Yeshayah 29:23 predicts, “They will sanctify the Holy One of Jacob, and they will praise the God of Israel.” On this passage, Radak noted that God is defined as “the Holy One” uniquely in connection with Yaakov, whether under his given name or in his Yisrael capacity. Radak explained, “This is because Yaakov saw the sanctity of God in a prophetic vision, in the vision of a ladder standing on earth, with its head reaching heavenward.” This answer is itself cryptic, though; what was uniquely ’holy’ about this vision, and why would we connect it to Birkat haMazon? Ramban (Vayyikra 19:2) explains holiness as a state apart, an existence which is separate from unworthy association. We are taught to make ourselves holy by separating from sin, as well as from pursuits which are permissible but unworthy of our attention. Perhaps Radak sees this holiness in the ladder image; God is beyond our realm, and we are connected with Him only through intermediary angels which commute from our realm to the Heavenly court. This notion of Divine separateness would be consistent with Yaakov’s experiences, as opposed to those of his predecessors. Avraham and Yitzchak lived in a world of the Divine; God expressed explicitly His desire to share information with Avraham, and Yitzchak gained permanent attachment to God when he cooperated with Avraham and offered himself as a sacrifice to God. Indeed, Yitzchak never left the land of God; he lived in the courtyard of Eden. Yaakov, on the other hand, despite his occasional conversations with God, became the first “Diaspora Jew”, wandering in exile and surviving trials and suffering without advice or reassurance from his Creator. From the day when he was forced to rely upon his mother’s wiles to receive a blessing she was certain was his due, to his decades of abuse at the hands of his uncle Lavan, to the loss of his son Yosef, Yaakov lived without Divine counsel. In Yaakov’s life, God was “holy”, separate, indeed. God did manifest Himself to Yaakov early in his life, though, as he set forth into exile, in that vision of the ladder. God told Yaakov, “Behold, I am with you, and I will guard you wherever you go, and I will bring you back to this land. I will not leave you until I have accomplished that which I have told you.” With this message, God softened the vision of a distant God, atop a ladder; God would be aware of all that happened in Yaakov’s life, and would protect him and bring him home. The same message would be reiterated toward the end of Yaakov’s life, on his way down to Egypt. The “Holy One of Jacob” is distant from this world, but He watches and stands ready to aid. In this light, the “Holy One of Jacob” is particularly appropriate for Birkat haMazon. In a blessing which tacitly declares God to be part of our lives, providing the mundane food we eat, we acknowledge that there is another side to our Provider. God is holy, distant, otherworldly in the extreme. And yet, we gratefully note that God is “the Holy One of Jacob”, willing to attach Himself to us and to our world in our protection. We pray that just as God protected our ancestor and saw that he returned home, so He will protect us, and bring us home to our land. Last Shabbos, I heard the story of a man who couldn't understand why the Daf Yomi's Siyyum haShas (celebration of completing a cycle of daily Talmud study) wasn't happening until August; he was done already! What was taking the rest of us so long? More seriously, though, a month after the much-ballyhooed and much-maligned New York "Asifa" regarding the Internet, I'm still hearing about it. Many comments are thoughtful, pointing out the positives and negatives of this gathering. But I've heard quite a bit from people who ridicule the whole idea of the gathering as Luddite, benighted, medieval. 1. I believe the Internet is a tremendous force for good. From on-line libraries like Hebrewbooks.org, to listservs dedicated to Torah discussion, to websites organizing tzedakah and chesed, the Internet can be our third arm or second brain, enabling us to fulfill our mission as Jews and human beings. 2. I use a filter on my laptop. I think that everyone should use filters, both on computers which are accessible to children and on computers which are used only by adults. It's common sense, not religious paranoia. Why on earth would I want to empower vendors to determine what goes into my brain, and webmasters to serve as curators of my mind? Why on earth would I want to look at things that I know will distract me from that mission of Jew and human being? Why would I want to look at things the erudite Talmud, worldly Rambam and dispositive Shulchan Aruch prohibit? I can be a broad, informed, connected person without being exposed to every website. A filter doesn't limit personal freedom - I can edit my 'whitelist' of acceptable websites and referrers as I choose - but it ensures that I think about what I am going to see, and it serves as a helpful reminder of the person I am and the person I wish to become. Yes, it was time-consuming at first to add all of the sites I use. (Complaint: The Rebbetzin's Husband was not on the pre-loaded whitelist. On the other hand, The Muqata and The Renegade Rebbetzin were there – is there a message in this?). And yes, my customized whitelist is probably a bit broader than those of most people who use filters. But it's still worth it. Why? Because pretending that I am not a human being, with human distractability and human desire, would be silly. It's common sense. Yes, filters are inadequate; I've tried different versions over the years, and I know that there is no substitute for 1) self control, 2) study of Torah and mussar and 3) the presence of other people around me. I also know that the filter is only as good as my commitment not to disable it at any given moment. Nonetheless, its presence is a reminder that I am vulnerable, and that I need to be smart about what I do. Really, who could argue with that? 3. I understand very well why some would ban the Net entirely; that is not my path, but I certainly wouldn't denigrate it. I don't know that my path of filtering is any more correct than theirs, and I would be suspicious of anyone arrogant enough to claim the Correct Path. What I do believe is this: We will be a much stronger nation when we sit down together to discuss these concerns, develop solutions, and pursue our mission together. What do you think of this declaration? "Nothing is more important for man than to be continuously aware of the fact that his body, like his spirit, is a creation Divinely consecrated, which is to be mastered and educated by the spirit. And there is nothing that he forgets more easily than this, especially as it is a human characteristic to transform the external appearance of the body according to human liking." I'm curious about the study's methods; the article doesn't provide enough specifics. But I would love to be able to teach persistence; if this is a way to do it, I'm on board. to educate his spirit with knowledge of Gd. to elevate his heart with knowledge, comprehension and skill. even to infinity its light will not dim. while she yet dwells in this lowly realm. This is the ambition of the length of a man's days. only in darkness do the sons of Man walk. and in wicked deeds they are still more corrupt. Geoffrey Pyke was an old friend of J.D. Bernal, and had originally been recommended to Lord Mountbatten, Chief of Combined Operations, by the Cabinet minister Leopold Amery. Pyke worked at Combined Operations Headquarters (COHQ), alongside Bernal, and was regarded as a genius by Mountbatten. Pyke conceived the idea of Habbakuk while in the US organising the production of M29 Weasels for Project Plough, a scheme to assemble an elite unit for winter operations in Norway, Romania, and the Italian Alps. He had been considering the problem of how to protect seaborne landings and Atlantic convoys out of reach of aircraft cover. The problem was that steel and aluminium were in short supply and required for other purposes. Pyke realized that the answer was ice, which could be manufactured for only 1% of the energy needed to make an equivalent mass of steel. He proposed that an iceberg, natural or artificial, be levelled to provide a runway and hollowed out to shelter aircraft. From New York, Pyke sent the proposal he had composed on Habbakuk via diplomatic bag to COHQ with a label forbidding anyone apart from Mountbatten from opening the package. Mountbatten in turn told Churchill about Pyke's proposal, who was enthusiastic about it. Pyke was not the first to suggest a floating mid-ocean stopping point for aircraft, nor even the first to suggest that such a floating island could be made of ice: German scientist Dr. Gerke of Waldenberg proposed the idea and carried out some preliminary experiments in Lake Zurich in 1930. The idea was a recurring one: in 1940 an idea for an ice island was circulated round The Admiralty but was treated as a joke by officers, including Nevil Shute, who circulated a memorandum that gathered ever more caustic comments. The document had to be retrieved just before it reached the Sea Lord's inbox. Look on, among the nations, and gaze and be stunned, for a deed will be performed in your days, you will not believe it when you hear of it. I've been working on a new bentcher (birkon, for the purists), hoping for it to be ready by my son's Bar Mitzvah. The goal is to produce a text which is easy to read, and which includes English translation as well as transliteration and commentary for the songs of the Shabbos table. I'm not aware of another bentcher which includes all of these elements. For the transliteration, I'm largely using the work of the "Yale Bentcher". For the translation and commentary, though, I'm starting from scratch. In the process of doing this, I've encountered quite a few places in which the translator must make the choice of following different commentaries. For example, the phrase in Kiddush, "כי הוא יום תחלה למקראי קדש זכר ליציאת מצרים," associating Shabbos with the commemoration of the exodus, admits of multiple explanations. Another challenge is whether to translate songs in ways which highlight their puns. For example, Yom Zeh Mechubad includes the line, "על שתי לחם יבצעו תמימים," which has a double meaning - "upon two unblemished loaves of bread they will slice", or "upon two loaves of bread, the unblemished nation will slice". The former, literal approach is the one I've seen in various translations, but I favor the latter. And another challenge involves translating phrases which may have been shifted from their proper grammar for the sake of rhyme or meter. One is the phrase ולנוח בחבת in Mah Yedidus; another is נעים שמכם in Dror Yikra. The standard translations take them entirely non-grammatically. For the former, I think a proper translation can work if one reads this as part of ולנוח בחבת כשושנים סוגה, which does fit the sort of enjambment seen elsewhere in the song. For the latter, I'm genuinely stuck. It's an interesting process. Stay tuned! I first put this on paper five years ago, when I was in the shul rabbinate. I still believe it. To me, the guts of rabbinic leadership is in Moshe’s challenge to G-d in Parshas B’haaloscha. Moshe asks: Did I conceive this nation, or did I birth it, that You tell me, ‘Carry him in your bosom, like a nurse carries a nursling, to the land I swore to give his ancestors’? That’s rabbinic leadership in a nutshell, as Moshe understood it. Although Moshe wasn’t happy about it in Parshas Behaaloscha (and I imagine he couldn’t have been much happier in Sh’lach to hear that his tour of duty was extended from eighteen months to forty years! ), he knew this was his task. This is not meant to infantilize the congregant; rather, it is meant to maternalize the rabbi. This type of care is leadership, because it enables the rabbi to lead. Per Dale Carnegie’s “How to win friends and influence people,” the rabbi who shows people that he cares about them is the rabbi who will be able to lead them and help them grow. In many communities, there are people who can give deeper or clearer shiurim than the rabbi - but will they give those shiurim daily? And will they offer more shiurim when people need more? And will they offer shiurim in varied topics, as people need? And will they arrange chavrusas for people? And will they go after people who are not learning, to find ways to match them up with learning opportunities? In many communities, there are social workers and counselors who can take care of social services and counsel those in need - but will they seek out the welfare of every individual in the community, the sick, those with sick relatives, the needy, those with needy relatives, the bereaved, the depressed, and so on? Will they dedicate time from their schedules to call people and check in and make sure everything is all right? In many communities, there are gabbaim and askanim who will make sure davening runs smoothly and distribute leining responsibilities - but will they go out of their way to convince people to come to minyan, not for the sake of the minyan but for the sake of those people’s personal development? 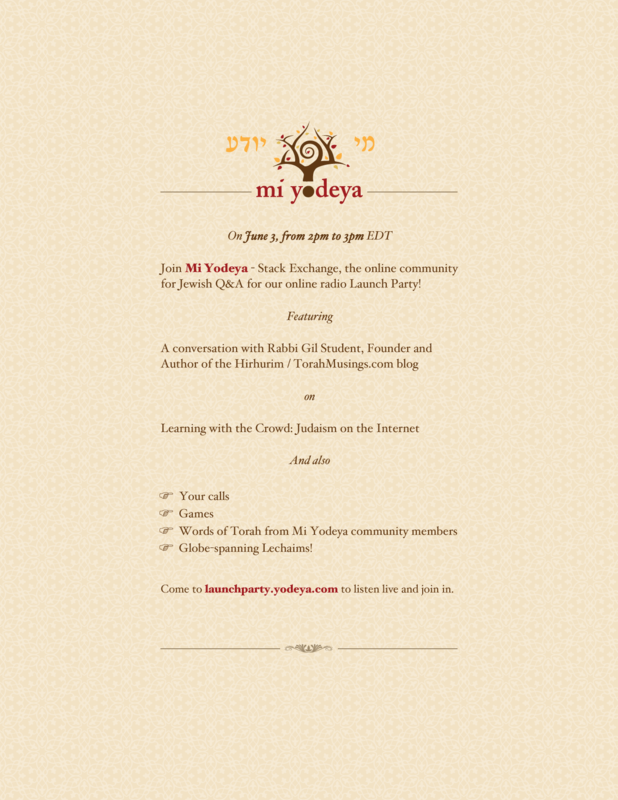 Will they dedicate time to teaching new baalei tefillah and new baalei keriah? Will they sit down with people to explain how to put on tefillin, and perhaps encourage them to acquire tefillin in the first place? And so on and so forth. The rabbi’s job is to help a woman get her husband’s pension. The rabbi’s job is to convince people to “go kosher” and to kasher their kitchen himself. The rabbi’s job is to encourage people to come learn parshah for an hour a week. The rabbi’s job is to arrange a loan so that someone can cover his son’s bail. Why is this the rabbi’s job? Because, as Moshe explained, his job is to carry the nation as though each individual was his own son or daughter. Again: This is not meant to infantilize the congregant; rather, it is meant to maternalize the rabbi. A particular congregant may not need anything at all - but the rabbi had better continue to look after that congregant, in case the day comes when the congregant does have a need. I feel like this blog has gotten away from me a bit. Looking back a bit, recent posts seem to me less personal, and less fully thought out, and less… interesting to me. 8 out of the past 10 are classes, articles or translations of sources. Torah, certainly. Addressing significant issues, generally. But not what I wanted to so dominate this piece of the blogscape. I'm not sure when or why this happened. I suspect it was around the time I noticed people mentioning my blog when introducing a shiur of mine. Or maybe it was after the nth time I was told I was meant to be a role model for the Yeshiva University / Dati Leumi / Modern Orthodox / Centrist community. Or maybe it was when I was asked how I can write so much without getting myself into trouble. Or maybe it was just when I got so caught up in work that I couldn't spare ten creative minutes to put together an interesting post about anything other than whatever shiur I was working on at the moment. I don't know why it happened, but I don't like it. I enjoyed this more when I could comfortably post on the offer of a Borsalino hat vs a Shas at my Bar Mitzvah, or offer a link to Denis Leary ragging on Mel Gibson for his Anti-Semitism, or present thoughts on Alan Alda's autobiography. * Read approximately 300 articles about the NBA playoffs, mostly focussing on LeBron James and how this is his year or is not his year. The man's life is so 21st century American Shakespeare. * Tried to show my kids the Venus transit with a pinhole camera [fashioned by the Rebbetzin, of course]. We did get an image of the sun on a piece of paper, but Venus was a no-show. * As part of screening reading material for my kids, I speed-read the Hunger Games trilogy. Books 1 and 2 were entertaining enough that I wanted to turn the page and read on. Book 3 seemed like it was the book the author had wanted to write all along, but it also seemed like the book no one [myself included] would want to read. Hm. That's only four, but it's all the "personal time" I can recall. Maybe that's part of the problem? This was the approach of the Nesiim, the heads of each tribe, in the offerings they brought for the dedication of the Mishkan (Bamidbar 7). Each brought the same material gifts, from the vessels made of precious metals to the flour to the incense to the animals – but Ramban (Bamidbar 7:2) wrote that each personalized it with his intent in bringing the various aspects of the gift. The outward mitzvot were all the same, but each person's intent was creative and unique. Rambam (Hilchot Avel 14:1) writes that the various ways we help each other (visiting the sick, comforting mourners, gladdening a bride and groom and so on) are all manifestations of the biblical "Love your neighbour" command, but the Torah did not include them as specific biblical instructions. The biblical mitzvah is simply to engage in actions which manifest love for each other, and then the Sages outlined various ways to do it - a list to which we still add. It seems that chesed, the act of helping others, is a case in which the internal intent is the same, and the outward manifestations are creative and unique. And then we have a third model: Tzitzit. The strings have a pre-determined length and [to a certain extent] colour and set of knots and wrappings, and the garment must have a certain number of corners. On the other hand, the garment may be any colour, almost any size, any pattern, and any type of woven material (although there seems to be a biblical preference for wool or linen). And the meaning is the somewhat specific awareness of Gd and the Torah, but that, too, leaves considerable room for personalization. There is room for variety in the execution, and in the intent. Which is it? Can we define an ideal level of creativity in Judaism? All of them, presumably, apply at different times. The trick is in figuring out which to apply, and when.